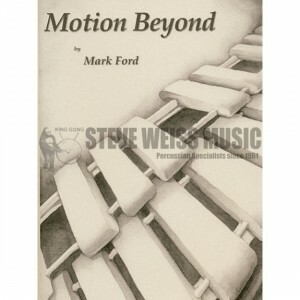 Motion Beyond was written in 1998 and premiered at the Percussive Arts Society International Convention that year in Orlando, Florida. The solo marimba music is based on the concept of shifting ostinatos with a haunting theme that transforms throughout the work. The title refers to the forward motion of these swirling rhythms, as well as a desire to move ahead of the daily problems in life.